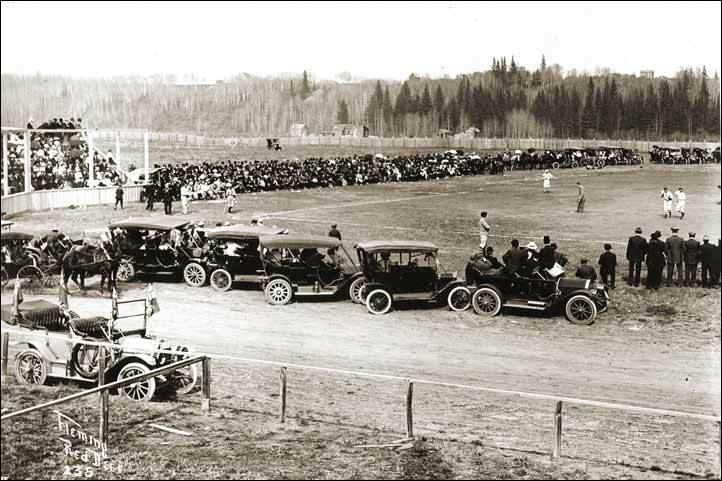 The opener of the 1912 season. 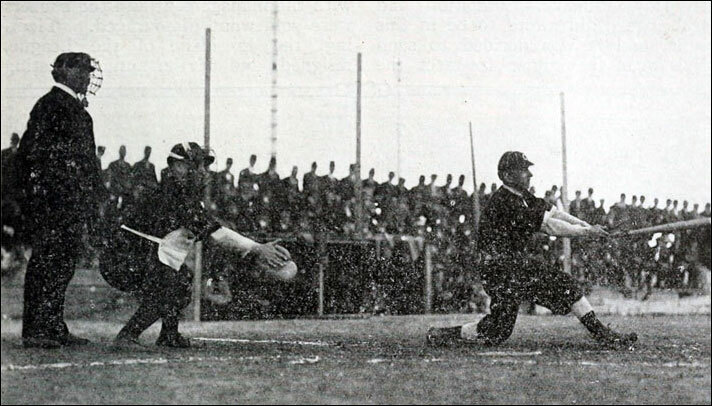 Julius Streib at bat for Calgary, Morrow catching for Bassano and Sullivan, the home plate umpire. It appears to be batting practice. Calgary catcher Samuel Davidson at the plate. 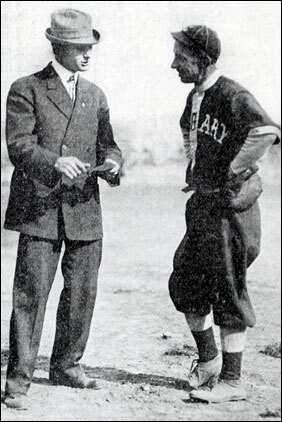 Left - Sam Savage (suit), owner and manager of the Calgary Bronchos discusses strategy with Julius Streib. 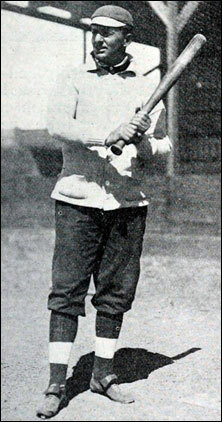 Right - Bassano shortstop Leonard Reddick. Above left - Archie Persons Bassano outfielder hit .379, best in the league. 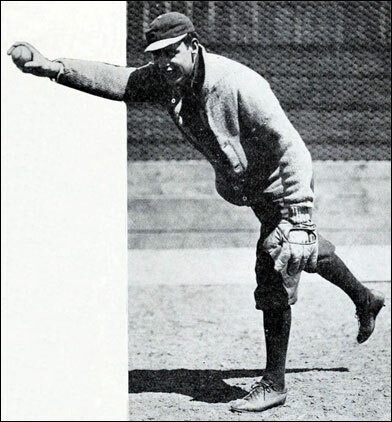 Middle - Peasley, identified as a southpaw hurler for Winnipeg (there was a Pease who played for three of the teams, could it have been the same player?). 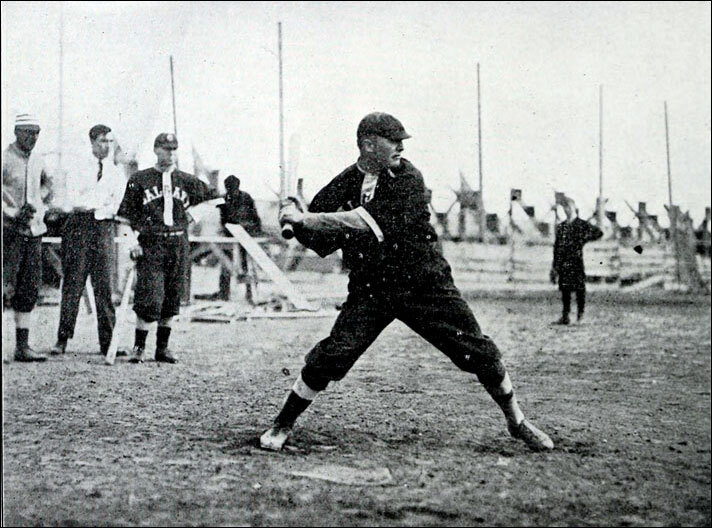 Right - Red Deer catcher Arthur Harry "Toots" Bliss. Below left - Bassano right-hander Slim O'Neill. 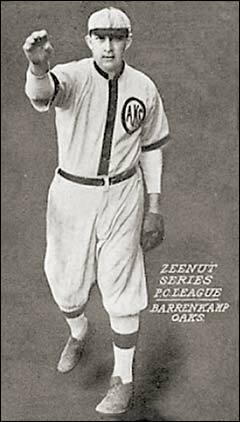 Right - Calgary righty Bill Barenkamp, who advanced to the PCL with Oakland Oaks in 1914 when this Zeenut card was produced. 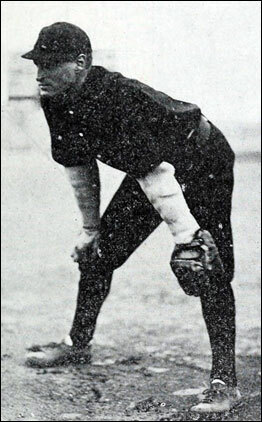 Barenkamp, with a 12-3 record, had the league's best winning percentage in 1912. 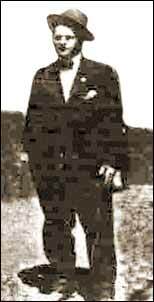 Left - Bassano manager, Eugene "Chesty" Cox. 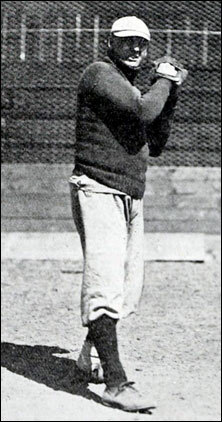 Right - former Brandon first sacker Cecil Thompson, who advanced to play with Seattle Giants of the Northwestern League in 1912. 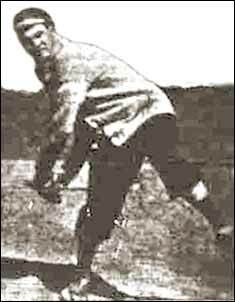 Below - Bassano's Harry Hayes (who also played under the name Harry Hughes) was the ace of the staff going 19-8 in 34 games. Hughes/Hayes had a checkered career after superb high school, college and semi-pro results in Minnesota, including a stint with Sleepy Eye. 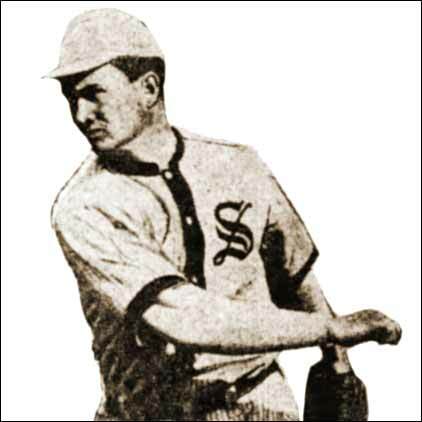 In 1912, Hughes had failed to report to Ottumwa, Iowa, and jumped to Bassano (playing under the name of Harry Hayes). He was later fined $100 and later drafted by the San Francisco Seals of the Pacific Coast League, where he had limited success. 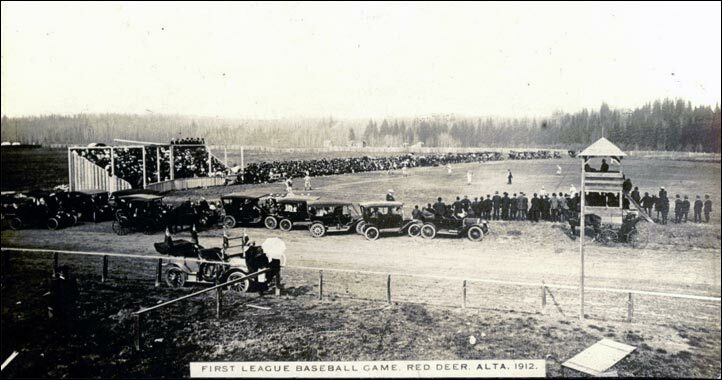 And, a slightly different view, courtesy of the Red Deer & District Archives.